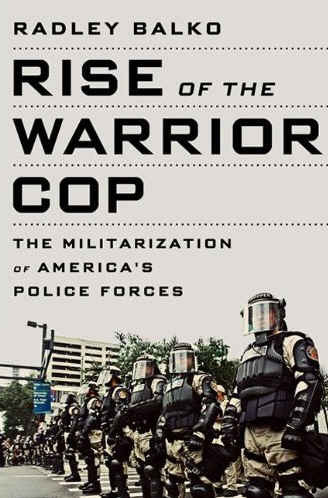 A Guy in New York » Blog Archive » Rise of the Warrior Cop – What could go wrong? « The Moral Preener in Chief Obama Is A War President. Yeah, Another War! It’s critical to appreciate the history of policing, to understand that what we now see as normal and inescapable wasn’t always the case. For most of our history, this country did not have a group of people with shields and guns who wandered the streets ordering people about. The fall from grace, If you perceive it as I do, came fast and hard. American attitudes toward police were built on images of Andy Griffith, strolling the streets of Mayberry to save random cats and, an allusion Radley employs, serving as guest umpire in the occasional baseball game. Good. Honest, One of us. This was the police officer upon whom we relied, and the one we pictured as we told our children that they were here to help us; they were our friend. The book contains required caveat number 3, mentioned numerous times that this is not an anti-cop book. And indeed, Radley pays homage to those within law enforcement who recognized the developing schism between police and the public that would lead us to blur the line between soldier fighting a foreign enemy on the battlefield and police fighting a domestic enemy on the streets of America, using the same clothing, weapons and attitudes.